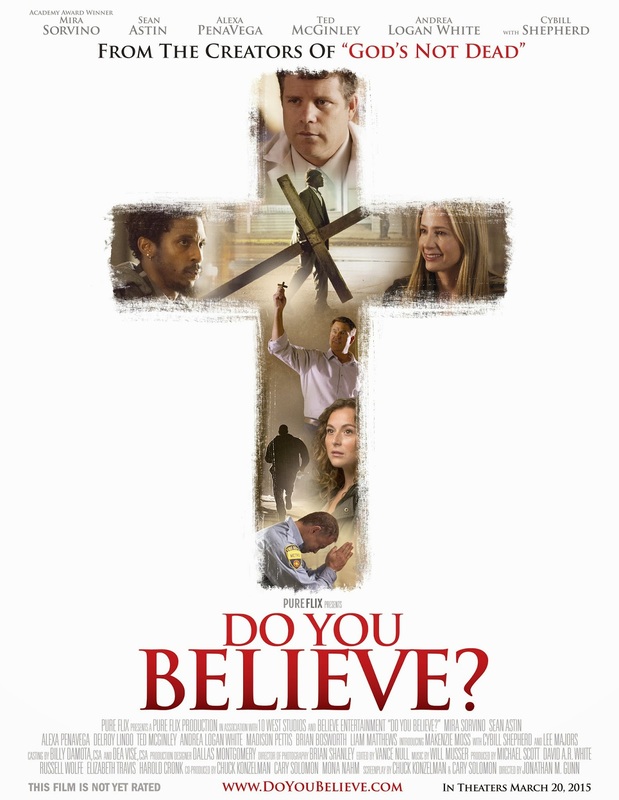 One sheet for Do You Believe? Lets take a look at the one sheet for the upcoming film from the "creators" of God's Not Dead"
Subtle ain't it? I haven't seen any of the Pureflix films so it wouldn't be fair for me to pass judgement without seeing a single frame... but oh boy, these movies rub me... ok I'm not being fair, I'll stop. Sam Wise, what the hell are you doing? Everybody deserves to send their kids to college but Jesus man.